Grounded Aerial® classes allow anyone to experience a fun and physically challenging hour of flight. 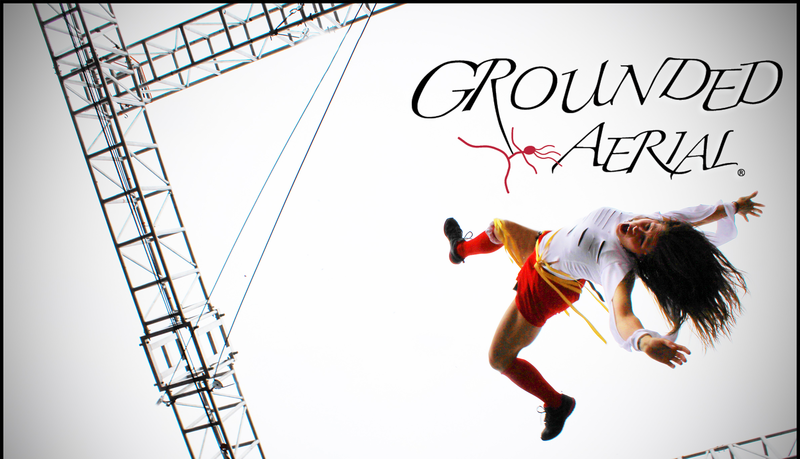 Grounded Aerial® bungee classes teach dynamic and graceful movements aided by a bungee and safety harness. Movements augmented by the bungee are incredibly empowering, rewarding, and addictive. Although flying might appear easy in videos, it is harder than it looks. Modifications and challenges can be applied to any term to decrease or increase the difficulty. Class participants work at their own pace with needed modifications/challenges. To achieve confidence in motion, class participants must listen to and respond with the bungee. Fighting the will of the bungee is an exercise in futility; you’ll tire before it does. 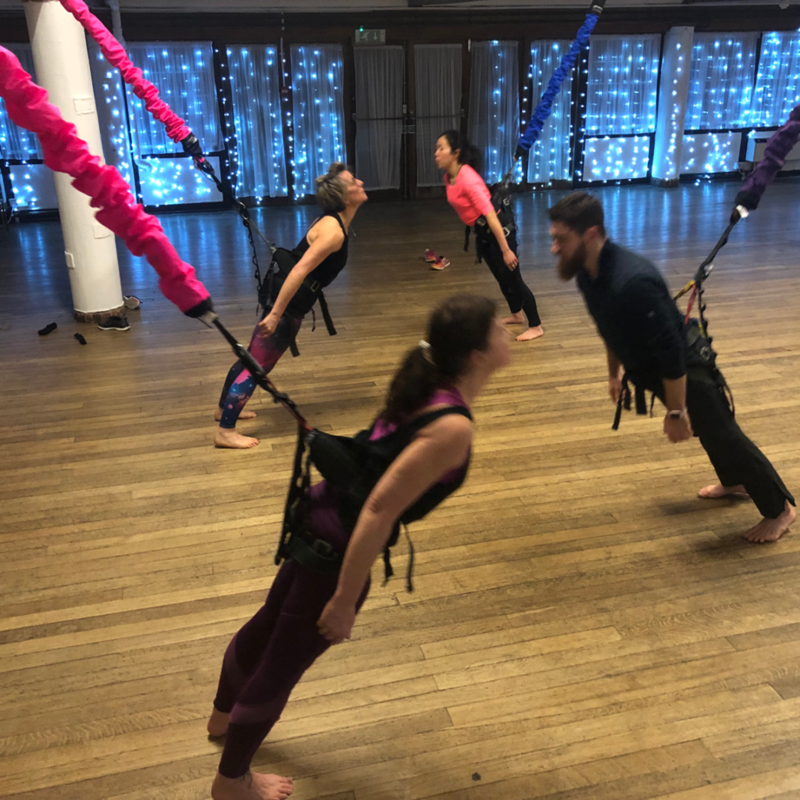 Accepting the strength of the bungee and beginning to move within it’s suggestions are one of the many physical/spiritual metaphors reinforced during Grounded Aerial® classes. Choreography Development and Creation – 6 year olds to senior citizens: everyone can make dances. For non-dancers! Ms. Fuhrman has toured the world holding workshops such as these via the modern dance company Pilobolus. Utilizing team-building strategies, we develop our self-esteem, stimulate creativity, get a great work out, and laugh a lot. From girls night out to executives that need to work on their communication skills…this is fun.